The Reform Support Unit (RSU), School Education Department, Government of Sindh have a mandate to disburse stipends to female students of Sind. A signing ceremony was held at a local Hotel in Karachi today to award the contract for disbursement of these bursaries to JAZZ CASH. Payments will be made in two streams of Rs. 3,500 and Rs. 2,500 in 45 Talukas and 76 Talukas respectively where the transition rate is low. JazzCash to Disburse Stipends to Female Students of Government Schools Across Sindh. 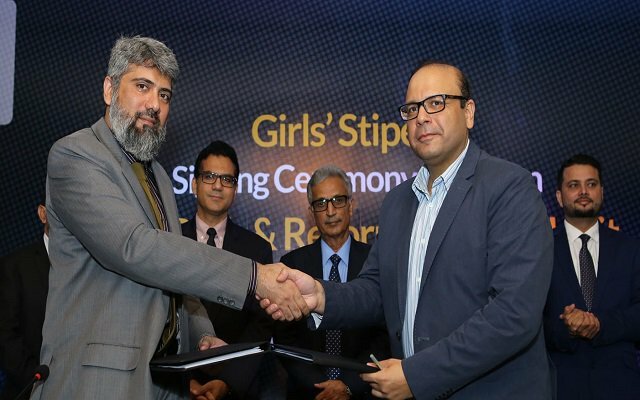 Chief Program Manager of RSU, Faisal Ahmed Uqaili said “Approximately 300,000 girls’ students receive stipends annually after the data received from the school principals is scrutinized and verified independently to ensure transparency. Said Faisal Sattar, Head of Business Services Division at Jazz.